It might get old, seeing exhortation after exhortation to “Drink More Water!”, but there’s a reason for the repetition (a myriad of health benefits) and a special argument for why those interested in muscle building should focus on their hydration. Most articles about staying hydrated cite the basic need your body has for a sufficient amount of water, and will mention the role it plays in maintaining healthy systems and skin. There’s no definitive study that proves adequate water intake helps keep your skin clear, or improves its appearance, but one symptom of dehydration is noticeably dry skin, and at least one study has shown that upping your water intake does have a direct (and positive) effect on your skin’s physiology. (While it’s a great idea to be comfortable with your age and the literal and figurative skin you’re in...it also doesn’t hurt to do things that will help it look the best it can. Common sense tells us dry skin isn’t good for your skin’s health or appearance). Research on the benefits to your other bodily systems is more abundant; your kidneys, bowels and even your brain may all function optimally when you have a significant amount of water in you. The mood boost and cognitive enhancement aspect of drinking enough water should also be a boon to any woman experiencing any type of hormonal influence. In addition to the normal ebb and flow of hormones that a woman with menstrual cycles experiences, the changes brought about by childbearing, breastfeeding, premenopause, menopause, and beyond have one thing in common; mood and/or cognitive disruption. (You may have heard it referred to by its deceptively cute nickname, “Brain Fog”). It seems patently unfair that the gender most often tasked with caring for a multitude of responsibilities (incremental advances in equal division with men in things like child and elder care notwithstanding) also largely experiences hormonal fluctuations that result in something called “Brain Fog”, but those are the breaks. So we should use every exercise and nutritional weapon in the arsenal that we have to fight it, and water is a major one. All of these advantages of increased water intake aside, there’s also one for those of us who work out with an eye towards building muscle. The basic practice of regular exercise (for example, extensive cardio) requires a little more water than the average bear takes in, to replenish fluids lost through perspiration, but weightlifting and other exercise directed at your muscle groups makes staying hydrated even more important, if you’re looking to see results, as well as experience the benefit of them. Blood flow to muscles is disrupted when you’re not adequately hydrated, and when cells don’t have the proper balance of fluid and electrolytes, their performance suffers...as does their volume. You need to hydrate before you lift, and after, if you want to see results of your hard work. (And if you want to be able to put in that hard work in the first place). 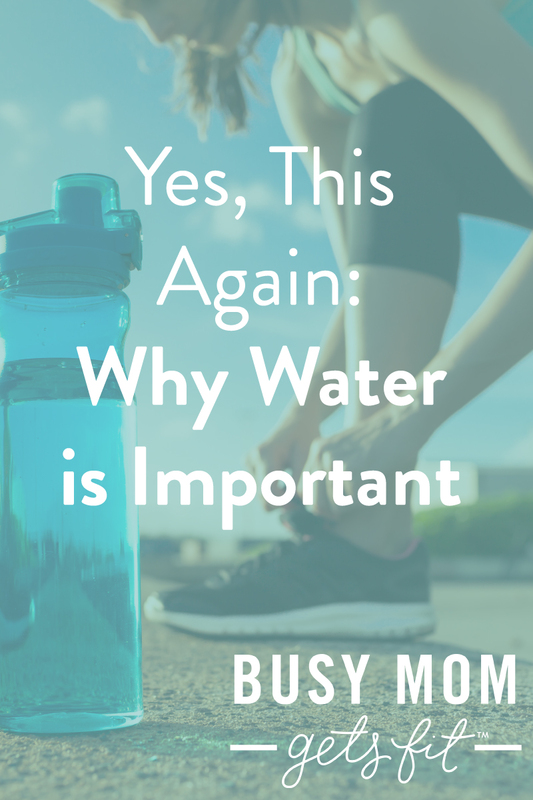 So, even though it may get tiresome, we still need the reminders about drinking enough water. Both for the good of our overall mental and physical health, and to get the most out of the gains from our gym time!